I got to know of Nathan Fowkes' art through the scene paintings from animated films and his blog. This guy is truly a master with colours, light and shadow. He has been in the animation industry for more than 15 years, working for a variety of companies like DreamWorks, Disney, Blue Sky and others. In recent years, he started posting his charcoal portrait drawings in addition to the background art, and that's when I go to see the other side of his artistic prowess. And now we have this book. There are some step-by-step tutorials that show you his thought process and approach to creating portraits. But overall, the book is more like a guide that points out important things you have to know to make your portraits look great. It talks more about principles rather than techniques. So this book works better as a compliment to some other portrait drawing books. The content is covered concisely and clearly. I had several light bulbs light up in my head. There are portrait examples that accompany all the concepts that are being discussed. Common mistakes are also being highlighted with the proper way to go about solving them. The book is really about training you to get the right mindset when it comes to thinking about portraits. I highly recommend this to artists who are into portrait and figure drawing. 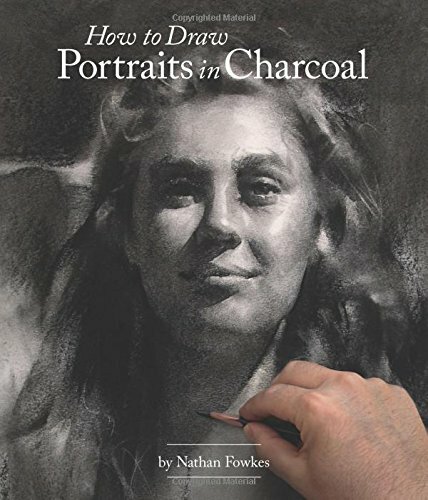 If you're looking for a step by step instructional guide to drawing portraits, I suggest you check out The Artist's Complete Guide to Drawing the Head instead, but get Nathan Fowkes' book as additional reference.